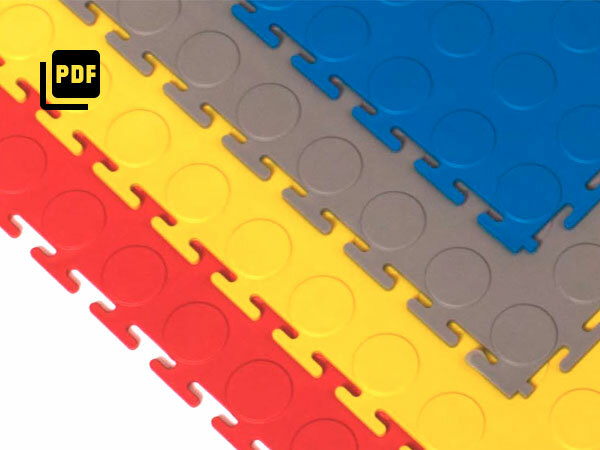 Premier Grip is a 100% recycled PVC interlocking tile system. 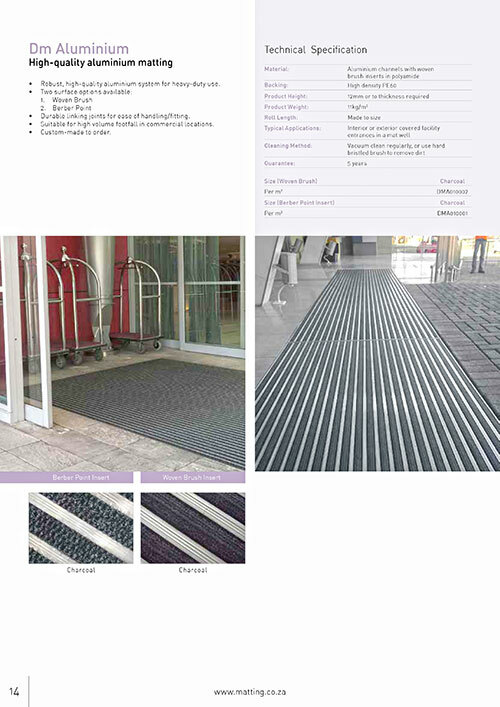 It is suitable for both indoor and outdoor use and has dirt-scraping raised nodules. 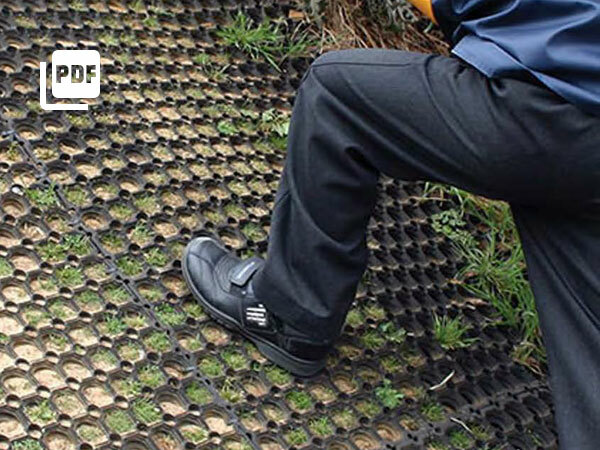 Matco Ringmat is a durable rubber matting suitable for playgrounds. 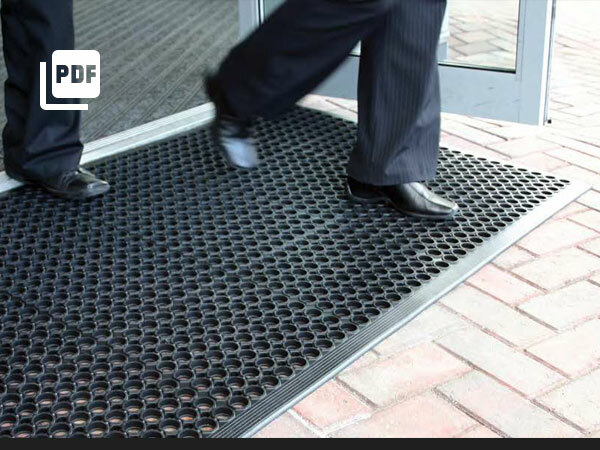 It has a long lifespan even in outdoor conditions, with open holes to for grass growth. 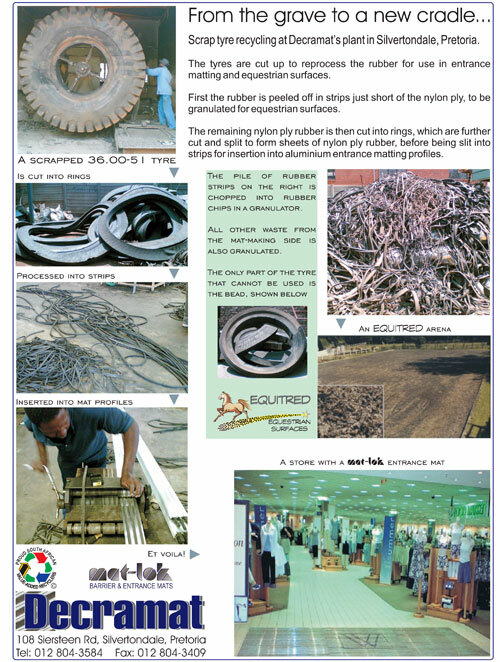 Scrap tyre recycling: The tyres are cut up to reprocess the rubber for use in entrance matting and equestrian surfaces. 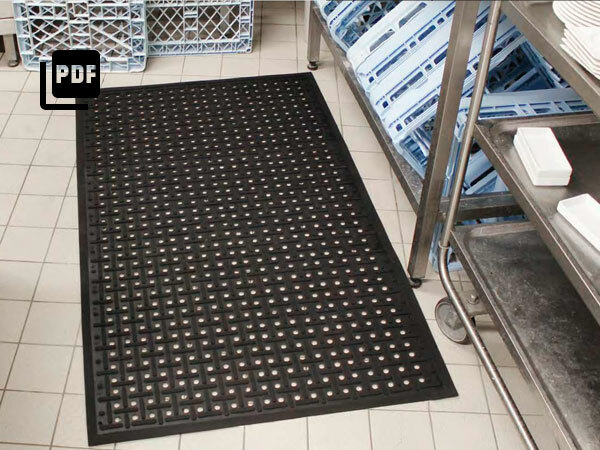 Matco K-Mat is the best selling ‘safety floor’ kitchen mat. 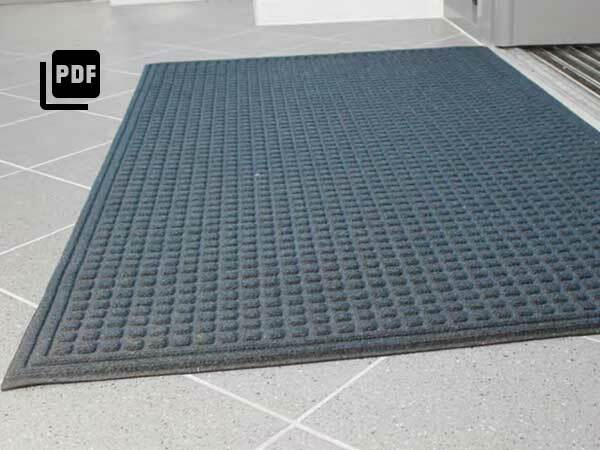 It has hygienic and anti-microbial properties with bevelled edges all around. 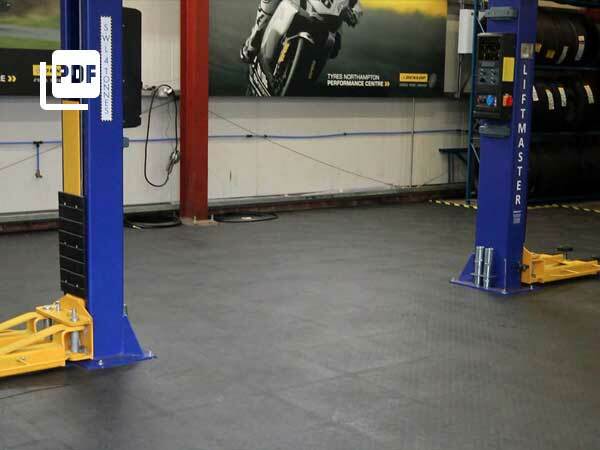 Matco Knee Saver will take the strain out of kneeling. 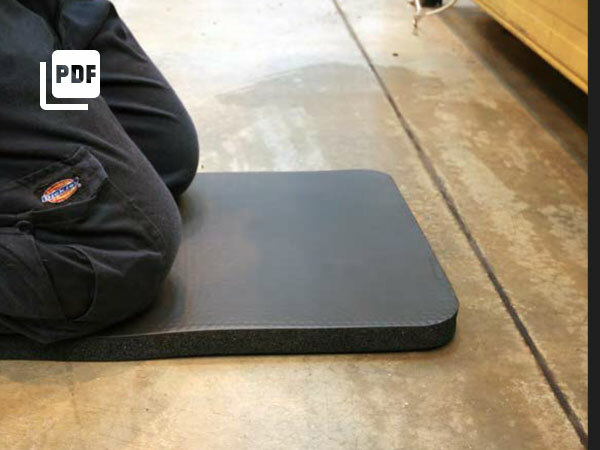 Its the ideal pad for every uncomfortable kneeling jobs. 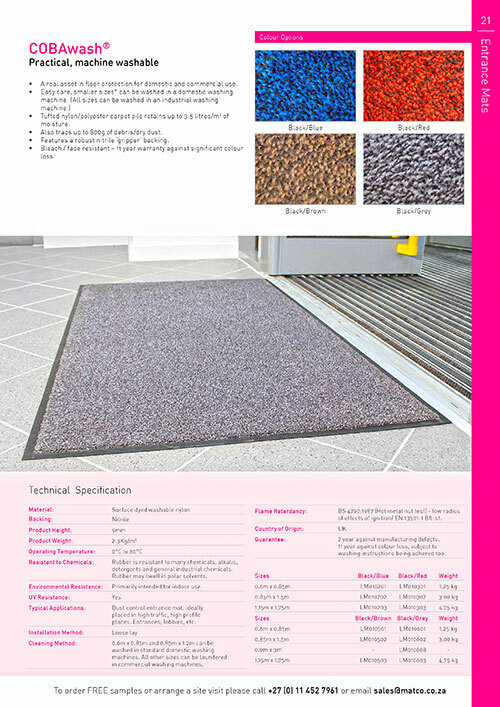 It is also resistant to oils and chemicals. 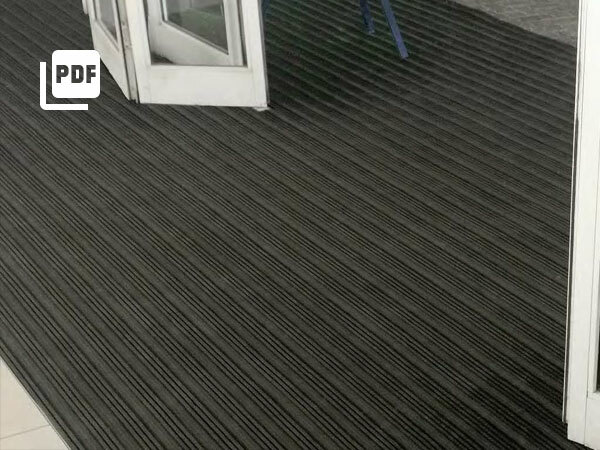 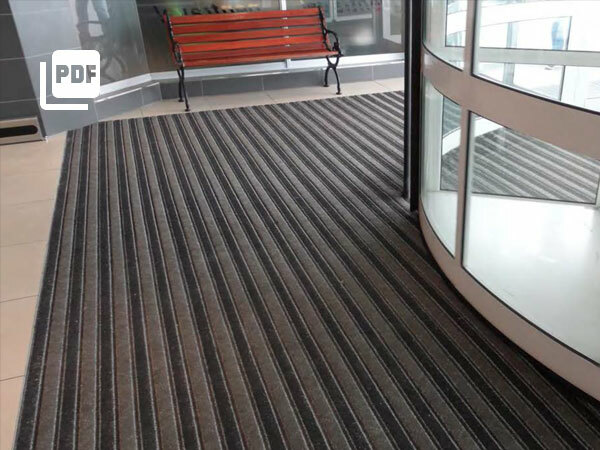 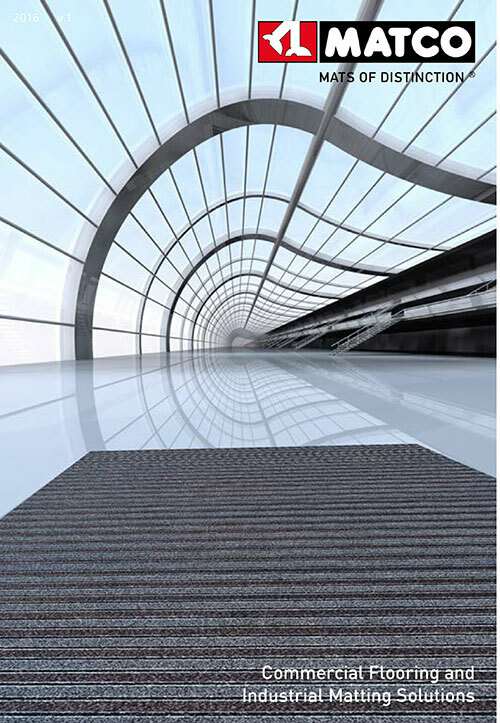 Matco Super Contract Fall is a distinctive looped design matting system. 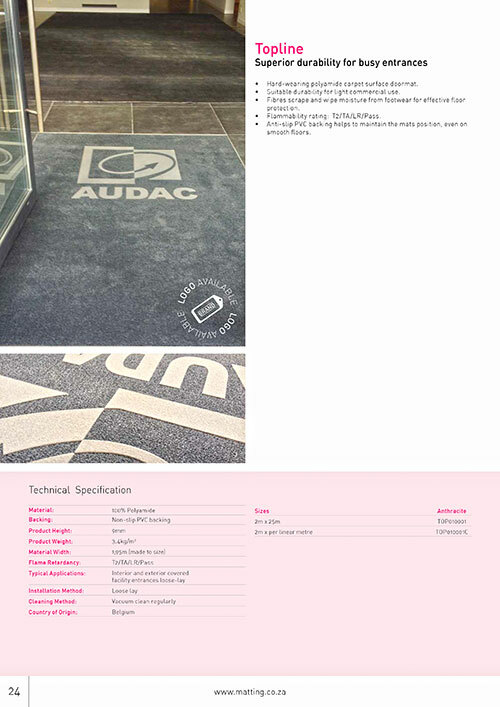 It is suitable for recessed matwells and can be custom-printed. 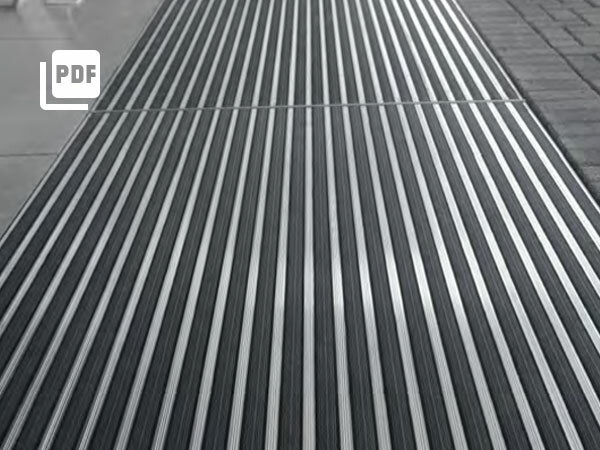 DM Aluminium is a robust, high-quality aluminium system for heavy duty use. 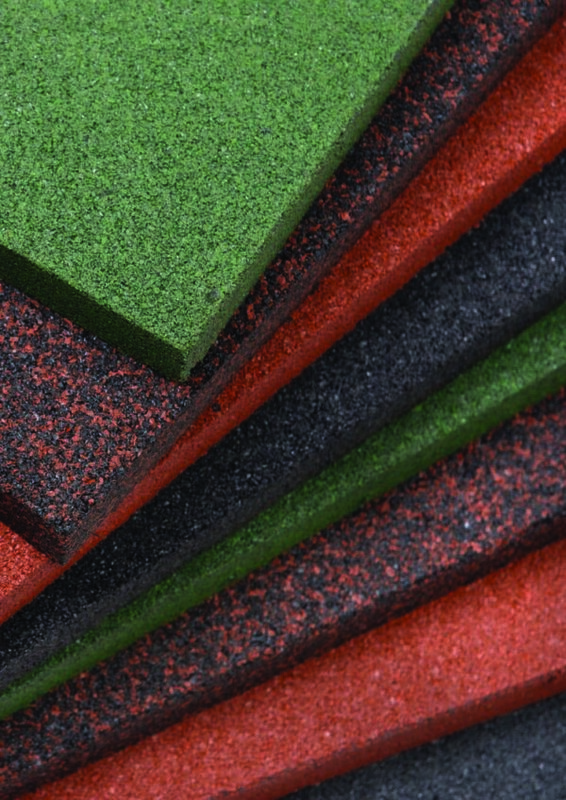 Two surface options are available: woven brush and berber point. 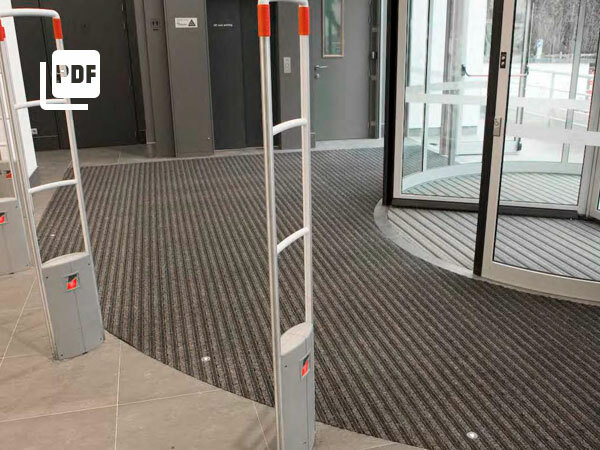 It has durable linking joints for ease of handling/fitting and is suitable for high volume footfall in commercial locations. 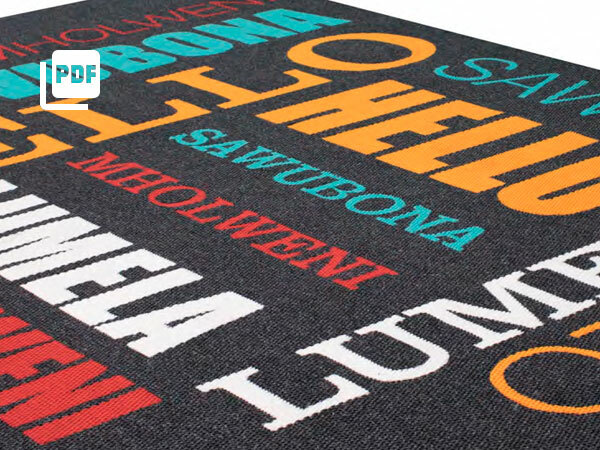 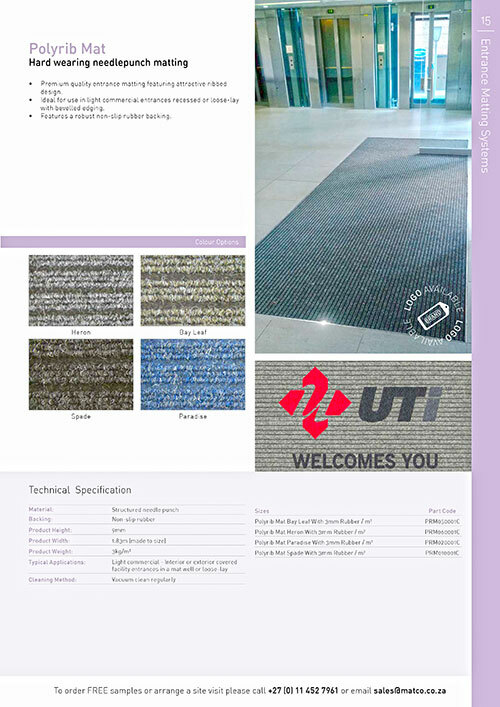 Topline is a hard-wearing polyamide carpet surface doormat, suitable for light commercial use. 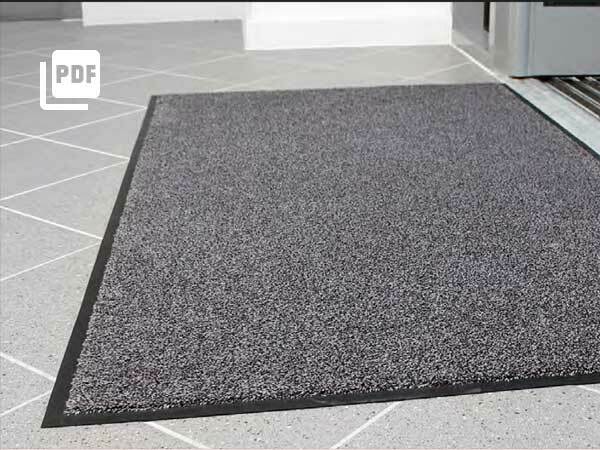 Fibres scrape and wipe moisture from footwear for effective floor protection. 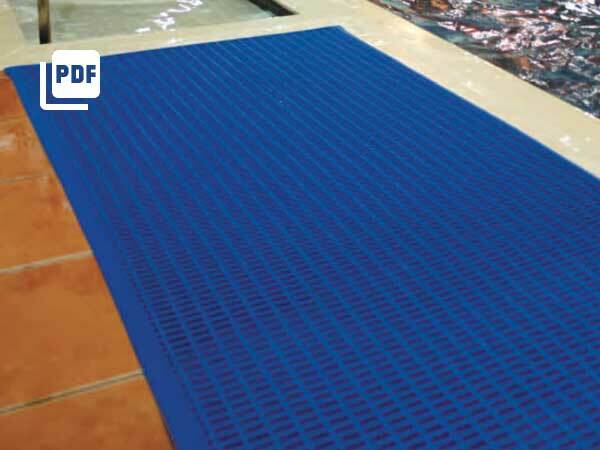 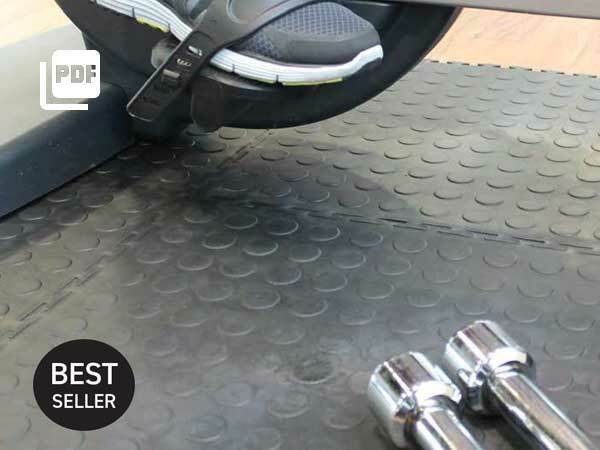 Anti-slip PVC backing helps to maintain the mats position, even on smooth floors. 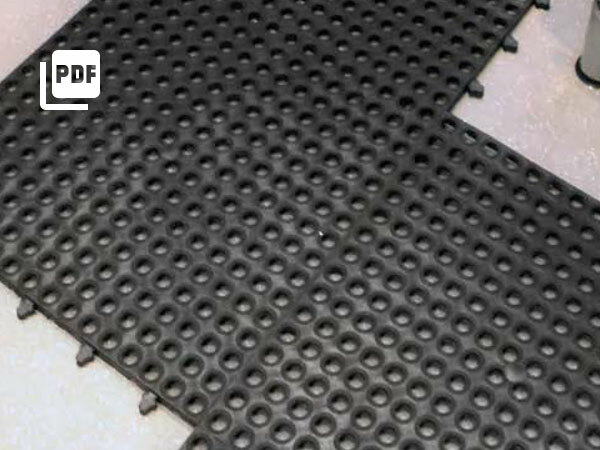 Matco Workplace Matting is a range of industrial applications such as for or use on stairs, countertops, workshop floors and load boxes. 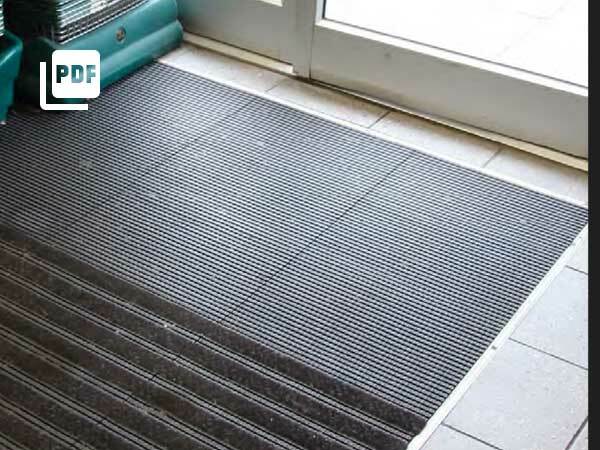 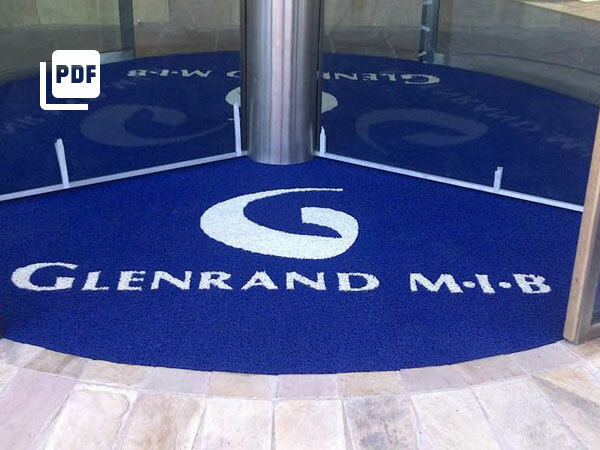 This high-quality aluminium matting is robust and designed for heavy-duty use such as high volume footfall in commercial locations. 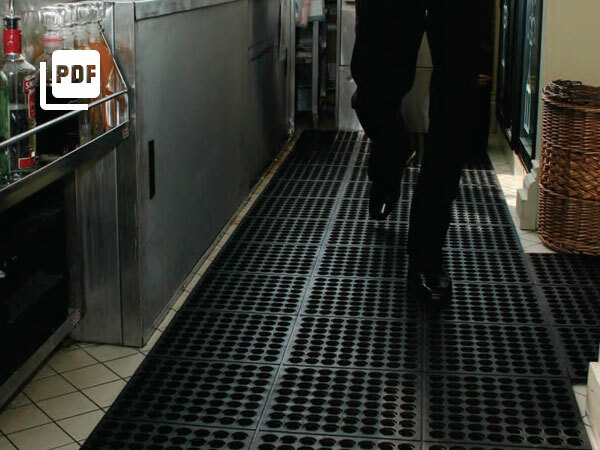 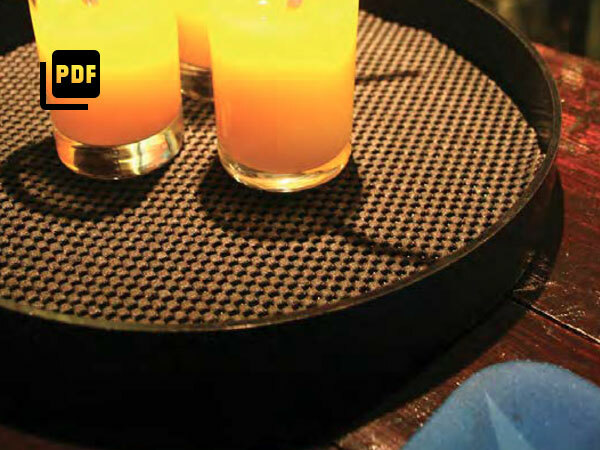 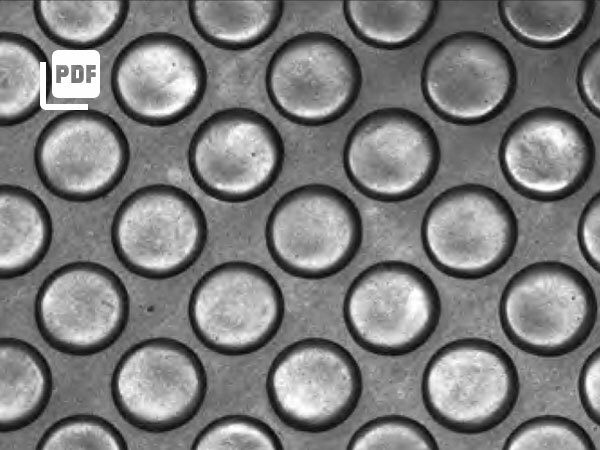 Matco Fatigue-Step is a versatile interlocking rubber floor tile that is ideal for bars and kitchens. 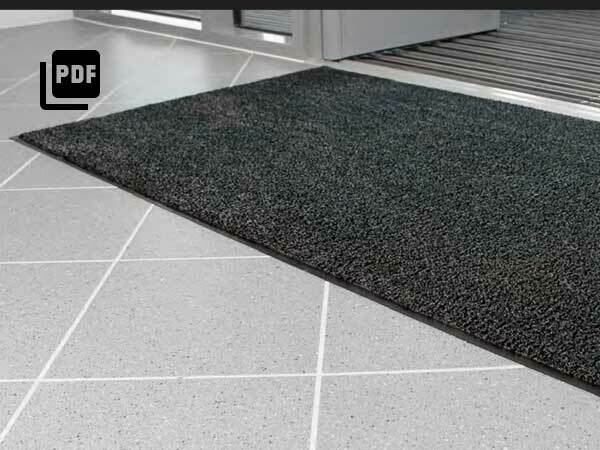 It is easy to install, move, clean and replace. 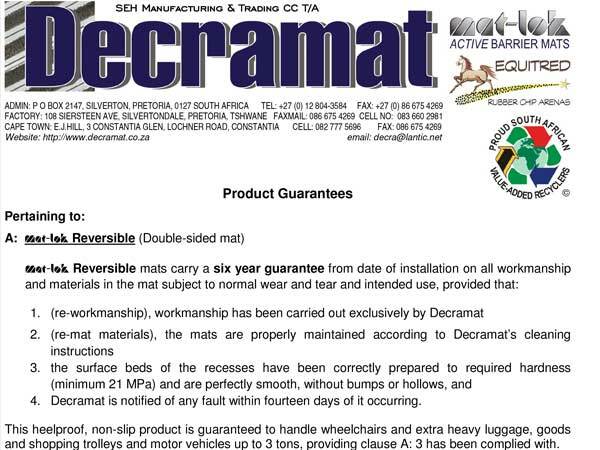 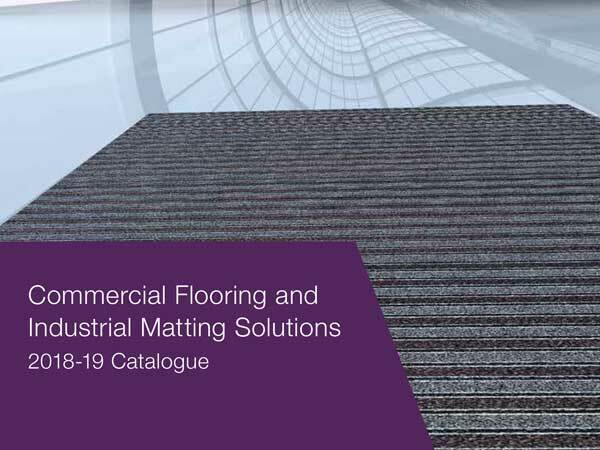 Mat-lok Reversible mats carry a six year guarantee from date of installation on all workmanship and materials in the mat subject to normal wear and tear and intended use, provided that (re-workmanship), workmanship has been carried out exclusively by Decramat…. 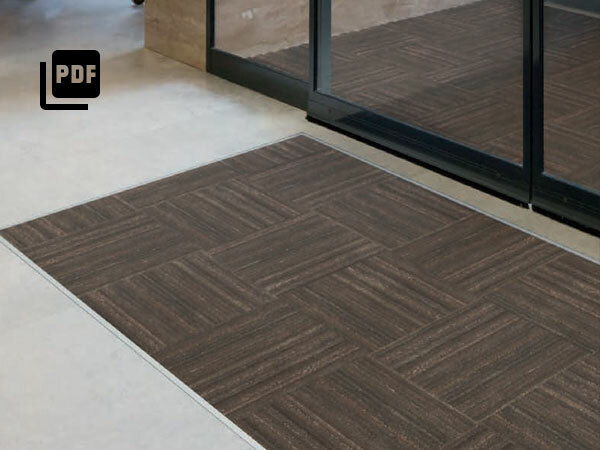 Matco Treadwell is an entrance floor tile made from recycled materials. 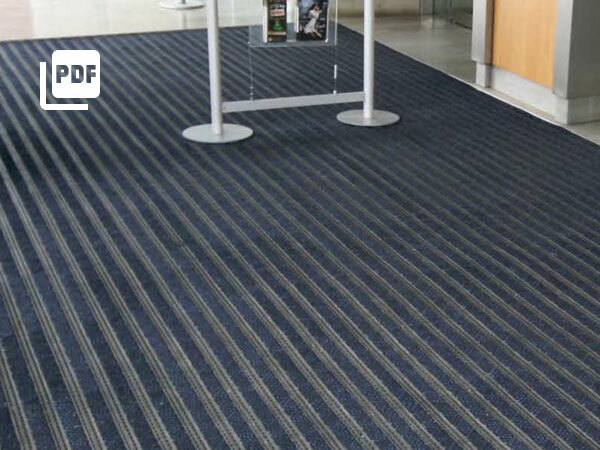 It is an exceptionally durable nylon carpet and looks stylish. 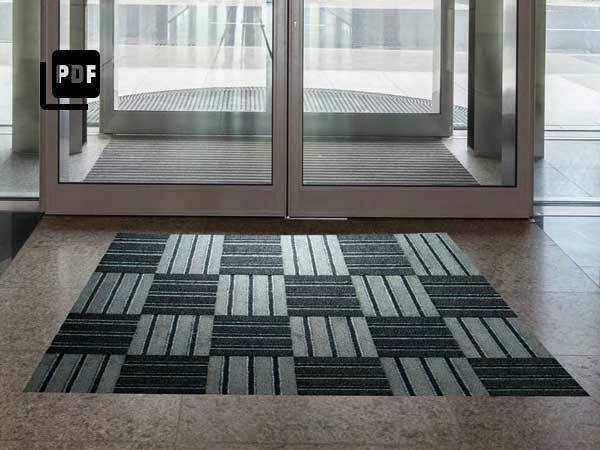 Polyrib Mat is premium quality entrance matting featuring an attractive ribbed design. 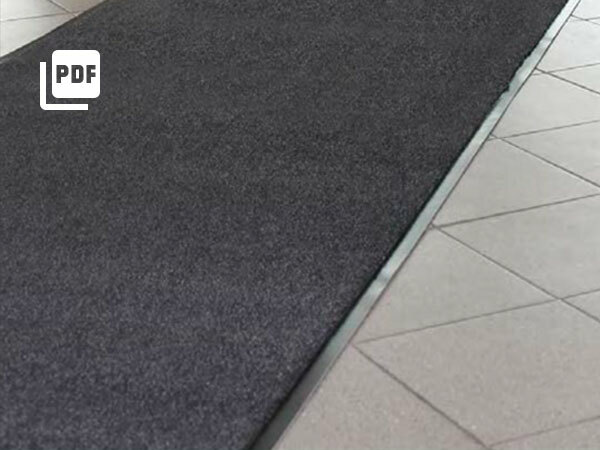 It is ideal for use in light commercial entrances, recessed or loose lay with bevelled edging. 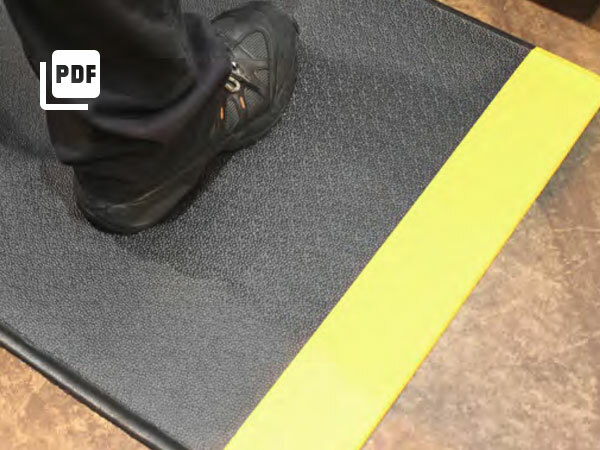 It features a robust non-slip rubber backing.